"Mittel- und Nord-Africa, westl. 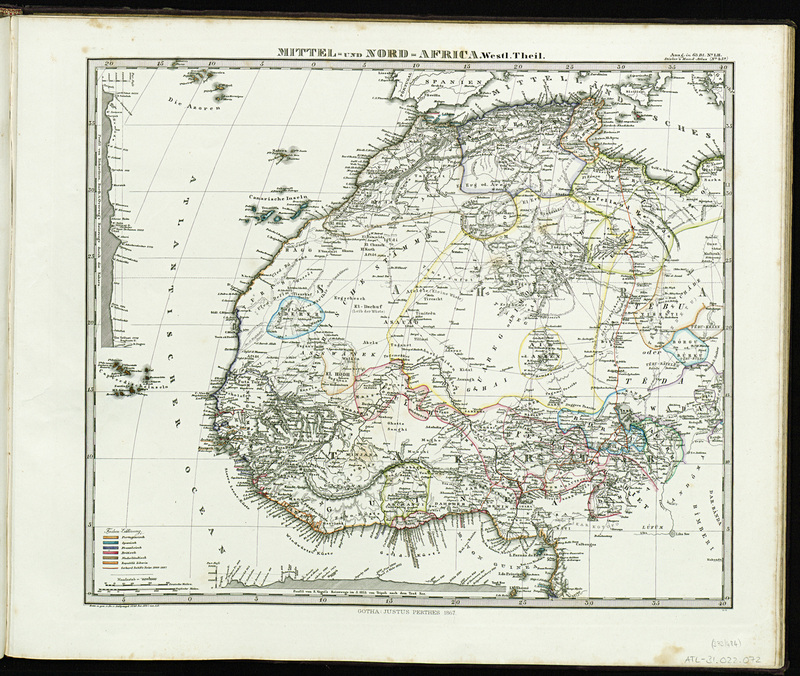 Theil"
Title: "Mittel- und Nord-Africa, westl. Theil"
“Mittel- und Nord-Africa, westl. Theil,” BMArchives, accessed April 19, 2019, http://www.bmarchives.org/items/show/100206039.